[b]This section is for major restorations only.where to buy a panel or where to buy window rubbers belong in the bodywork seats and glass section. Threads will be cleaned of chit chat. Pics would show sweet FA, which would not be an accurate representation of the outcome. 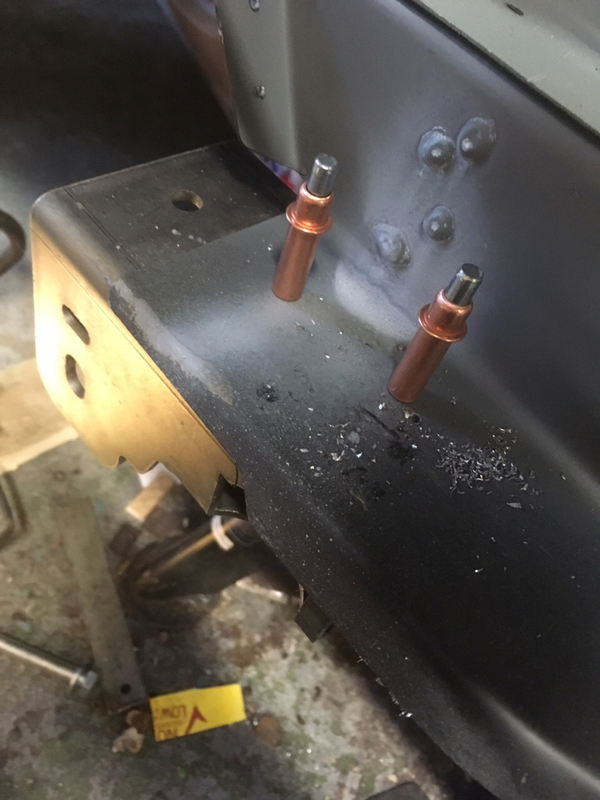 I drilled some holes for plug welding the sill, and fired up the MIG. And the outcome was that I learned that MIGing through a thick layer of Halfrauds weld thru primer is worse than useless. So I carved the sill off again, slowly and carefully, and cleaned off all relevant paint, and left the garage for the evening, a wiser man. And with my newfound wisdom, I returned. I've never tried weld through primer so can't comment on it but you're doing a great job there. I sprayed the weld thru primer on that panel and through the holes I drilled scraped the primer off with a thin screwdriver. 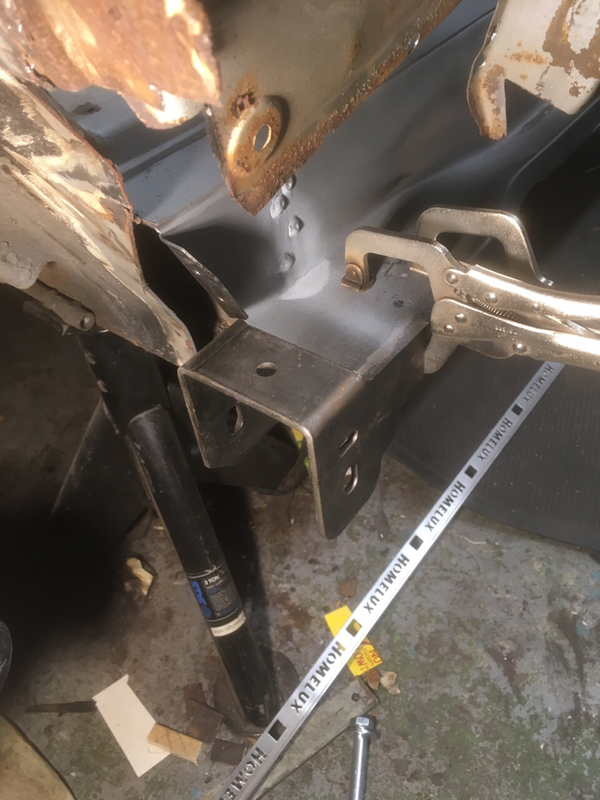 Puddle welds were much less spatter and should still be protected as the seam around the spot welds still has the weld thru primer on. 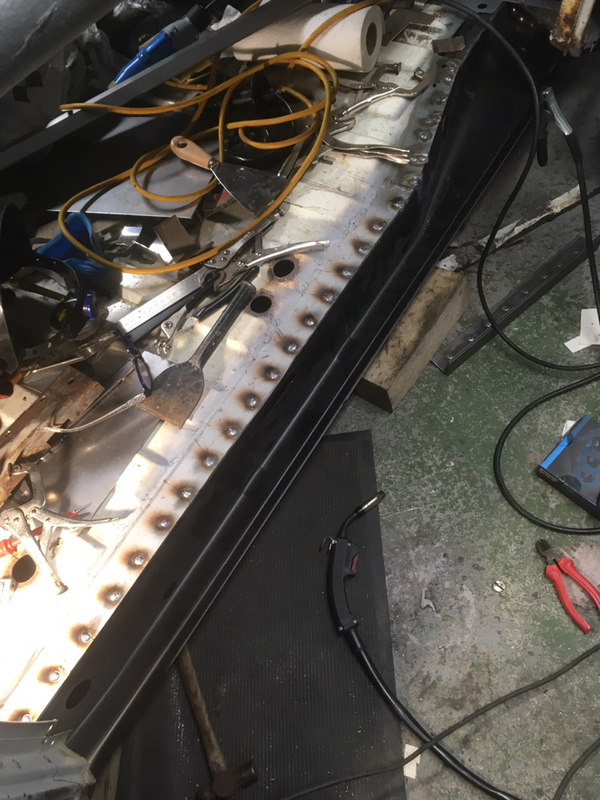 The welding might tidy Bob, but that’s the only thing that does in the garage! Did your eyes skate over the van interior? Nice to hear from you! Mshaw, I could have done that, and am kind of wishing I had, but heyho. Just thinking about protection, I guess there is a suitable oil based product that can work in to the join. It doesn’t need to last another 30 yrs tho, I’ll be too old to drive by then! I used Wurth zinc spray. Much better than simoniz or Halfords stuff, although Wurth prices were Wurth it. Got the JP positioned again after putting on the inner sill. Only two hours of checking, moving it a bit, checking repeat repeat repeat. And then, after cursing myself for not doing all the prep for actually welding the bleeder on, inspiration struck! So it’s off again for weld-thru, and holes in the sill for plug welds. Looking really good. I seam welded the JP to the sill on all sides as well to eliminate that moisture trap between the two. Aye, I’ve got the B outer, and the C will have to just be fabricated. I do have that triangular strengthened tho that fits at the back of the C.
I plan to seam weld round the JP too, and will probably add seam sealer to at the end. I’m needing to buy more 2mm sheet though as I’m getting through that wee square I bought. RogerT wrote: Aye, I’ve got the B outer, and the C will have to just be fabricated. I do have that triangular strengthened tho that fits at the back of the C.
inner right c pillar is available but 165 euro. google 251809354.